Dogs and cats get the same benefits from Omega-3 as you and I. After recent media news about dangerous food and pet food imports, it’s more important than ever to know where your food comes from- and your pet’s food. These are dark meat trimmings of our albacore that we’ve fed our own pets for years. The cats love it and our dogs have shown arthritis relief and shinier coats. 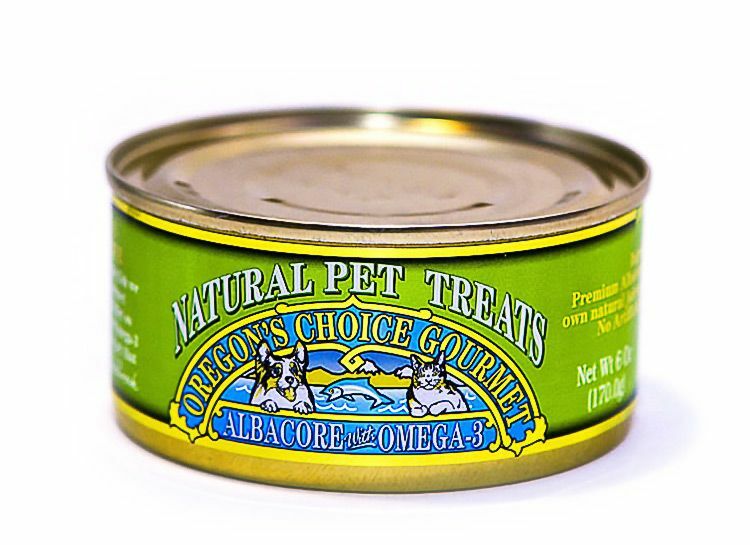 This is not a complete diet- so we call it a treat for your pet.